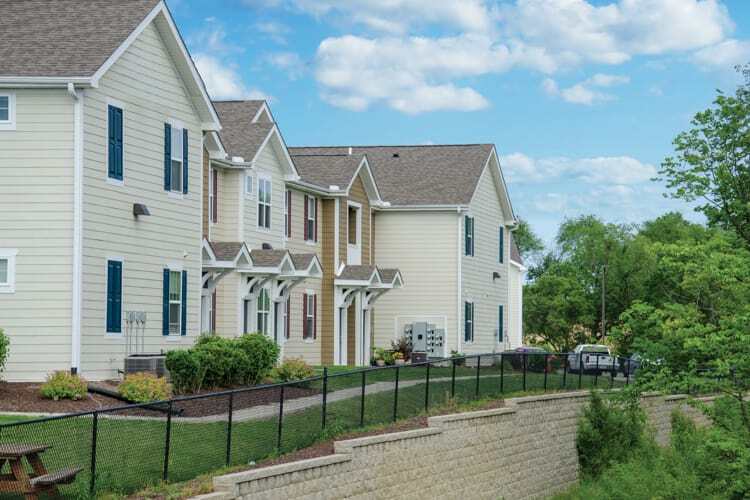 Located along beautiful Crow Creek and Crow Creek Park, Springs at Bettendorf Apartments offers easy access to simple living in the Quad Cities. Our luxury community is ideally situated for students, professionals, and families alike. We are located in the acclaimed Pleasant Valley School District and only a short drive from the area’s best universities, including Western Illinois University and St. Ambrose University. We also offer short commutes to reputable local employers, like John Deere, Alcoa, Purina, Genesis Health System, and UnityPoint Health. On the weekends, treat the family to a day at Splash Landing Aquatic Center or check out the interactive arts and science exhibits at the Family Museum. In addition to the long list of schools, employers, and entertainment options in the area, our vibrant neighborhood makes it easy to live well at Springs at Bettendorf Apartments. If you’re a biker, hop on 53rd Avenue Bike Path for a leisurely ride or a short commute to work. On the weekends, hike the trails at Black Hawk State Park. To experience the Quad Cities lifestyle at Springs at Bettendorf Apartments, contact our professional management team today.